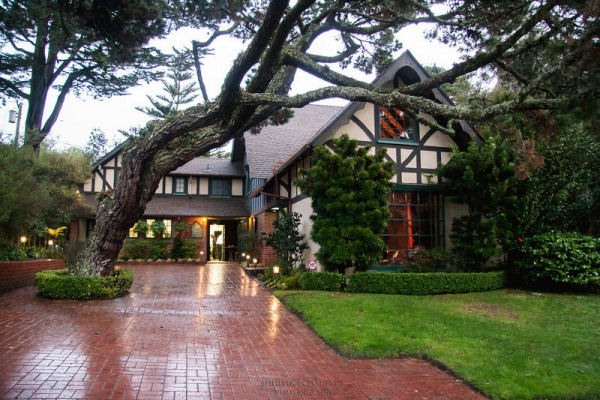 Built in 1919 as the gathering place for the newly-established Forest Hill neighborhood, the historic Forest Hill Clubhouse is an exceptional building by acclaimed architect Bernard Maybeck, most famous for his Palace of Fine Arts in San Francisco. Surrounded by brick patios and courtyards and shaded by mature trees, the Forest Hill Clubhouse is the perfect venue for all specific occassions including weddings, receptions, religious celebrations, celebrations of life, birthday and anniversary parties. Throughout the year the Clubhouse hosts numerous solo and concert performances by well-known local artists, theater productions, and Community Events, and each summer it is home to Forest Hill Musical Days, a weeklong festival of classical Chamber Music under the guidance of pianist Mari Kodama and her husband, conductor Kent Nagano. The Clubhouse is one of the finest examples of the Arts and Crafts style, boasting a Great Room with a soaring beamed ceiling, a charming mezzanine and beautifully detailed original woodwork, original light fixtures with mica shades, and some original furniture. After extensive renovations from April to October of 2013, the Clubhouse shines again in its original glory – but outfitted with modern-day amenities like a brand-new state-of-the art catering kitchen and ADA accessible restrooms.